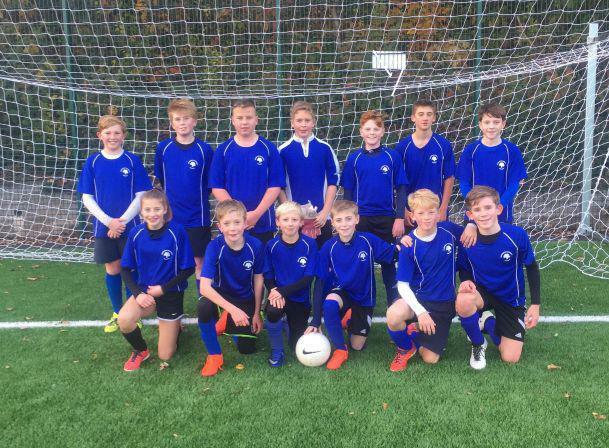 On 24th November the Year 8 football team went to Teignmouth to play in a Devon County Cup match. We started well and dominated the first half of the game and went into half time 1-0 up. Within the first 10 minutes Teignmouth equalised to put us under a bit of pressure. We took a bit longer to start properly in the second half as Teignmouth came back out strongly. However, we eventually picked up our momentum and scored a second goal to put us back in the lead. Teignmouth soon came back to equalise again and the pressure was on once again. We had a lot of chances to score, but failed to get the shots on target. The game was tough, but we managed to break through to get a late goal to win 3-2. It was a very good game and we will now go through to the next round of the cup. Man of the match was Charlie Presswell.